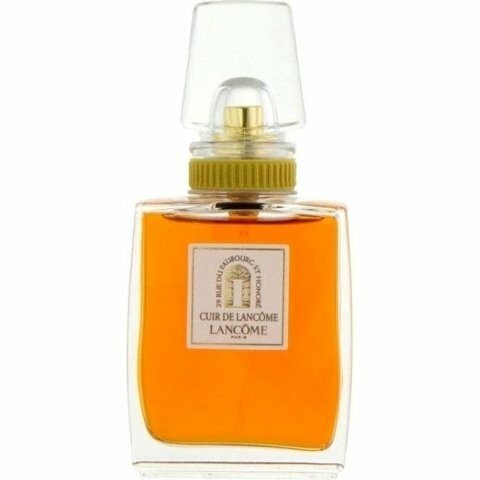 Cuir de Lancôme is a popular perfume by Lancôme for women and was released in 2007. The scent is leathery-floral. It was last marketed by L'Oréal. I find Cuir to be definitively leather, but so unlike most of the other leathers I know. There is not a trace of scratchiness that I usually associate with leather scents such as Bandit, Aramis or Rien. In fact it’s hard for me to consider Cuir and Rien in the same category. Cuir is a sweet, smoky floral leather (I get a lot of iris.) I can’t quite point to the source of the smoothness. Perhaps it is simply its well-considered moderation. Cuir has the nose feel of an emollient, viscous but not sticky. It makes me prick up my ears waiting for that roughness that the composition tells me is coming. But then, no, it’s more like a low-pitched vibration. The growl is implied, but what I hear is a purr, with all the sly contentment that a lounging cat suggests. Overall, I find Cuir very sophisticated. I tend to love rough and angular fragrances. Cuir is certainly not one of them. That said, Cuir does make me sniff my own wrist more often than any other perfume I can think of. I suppose I’m always listening for the growl. If Cuir is a bit of a tease, I’ve fallen for him. A floral leather that's too gorgeous to ignore. Lancome Cuir is familiar & comfortable but feels affluent. I imagine a well-breed aunt who dresses in a Chanel suit yet always welcomes you with a hug. On me, Cuir opens as a slighty dark - almost smoky - leather scent that warms, mellows & lightens as it drys. The leather in Cuir is smooth, buttery and pliable, like a pair of kid leather gloves in taupe. As Cuir develops, the florals become more noticeable. I don't pick out jasmine & ylang-ylang, but something else ... perhaps the saffron & the hawthorn, plus a powdery characteristic likely from orris. Lancome Cuir is a soft, floral leather which could easily be worn by a guy. It lacks the astringency and potency of other femme leathers such as Bandit and Cabochard, so it makes a good introduction to leather fragrances. It's also available at a price-point to-die-for (about 40 USD). Cuir is unique enough to smell niche and high-quality enough to smell lux. Simply, it's too gorgeous to ignore. 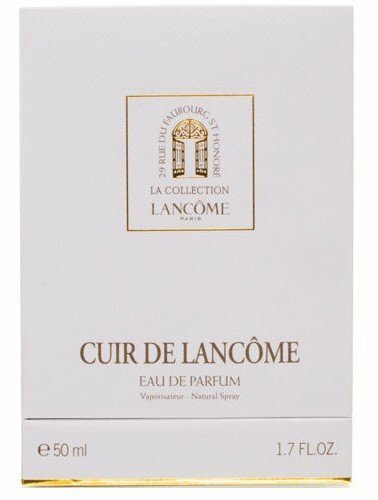 Write the first Review for Cuir de Lancôme!